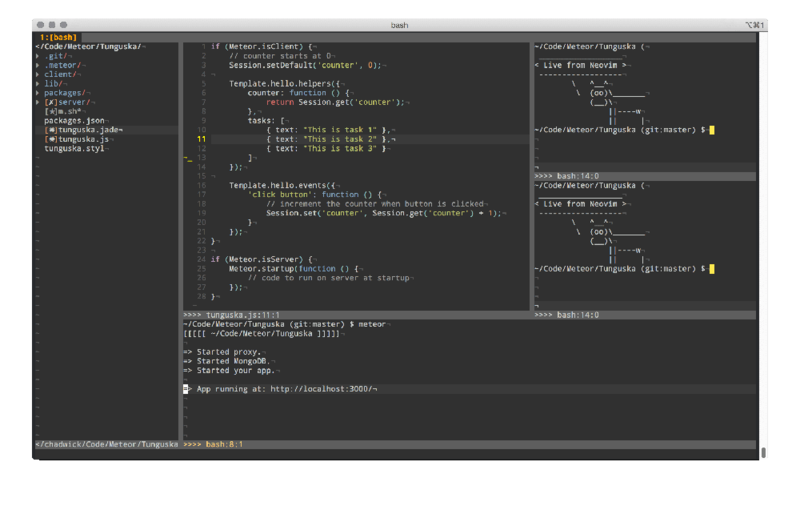 Vim (short for Vi Improved) is a free, open source, powerful, highly configurable and extensible text editor. It has a large and dedicated community of users that are constantly creating useful new scripts and updates to the text editor. Vim supports hundreds of programming languages and file formats making it one of the best cross-platform code editor. Although Vim is continuously being developed to become a much better text editor, many users have now created several Vim-like editors with fewer but powerful and usable features, out there. 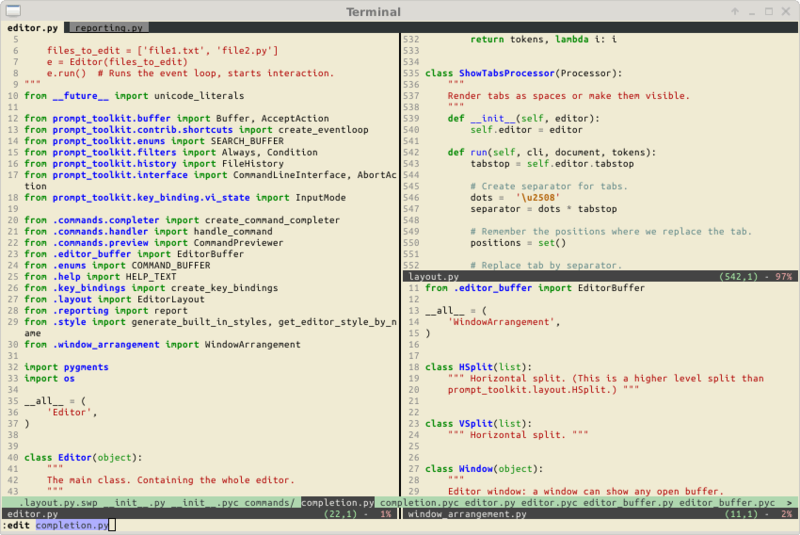 In this article, we will review 6 best Vi/Vim-inspired code editors for Linux systems. Kakoune is a free, open source, interactive, fast, completely customizable and scriptable Vim-inspired code editor with a client/server architecture. It runs on Unix-like systems such as Linux, FreeBSD, MacOS, and Cygwin. It comes with a number of text editing/writing tools, supports syntax highlighting, auto-completion while typing, and supports many different programming languages. It also implements multiple selections as an essential procedure for interacting with your text. In addition, Kakoune’s client/server architecture allows for collaborative code editing. Neovim is a free open source, powerful, extensible and usable code editor that provides Vim’s fundamental traditional features. 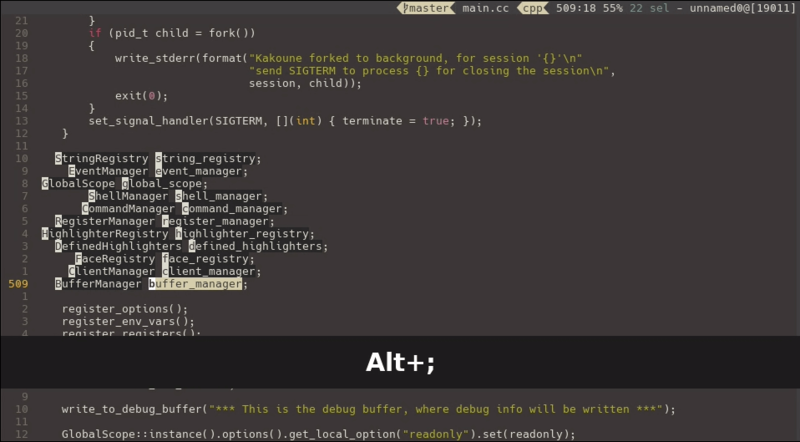 It is an extension of Vim that comes with an in-built Linux terminal emulator with modern terminal features such as cursor styling, focus events, and bracketed paste. Importantly, it supports most Vim plugins. NeoVim provides an AppImage that runs on most Linux systems, just download and run it as shown. 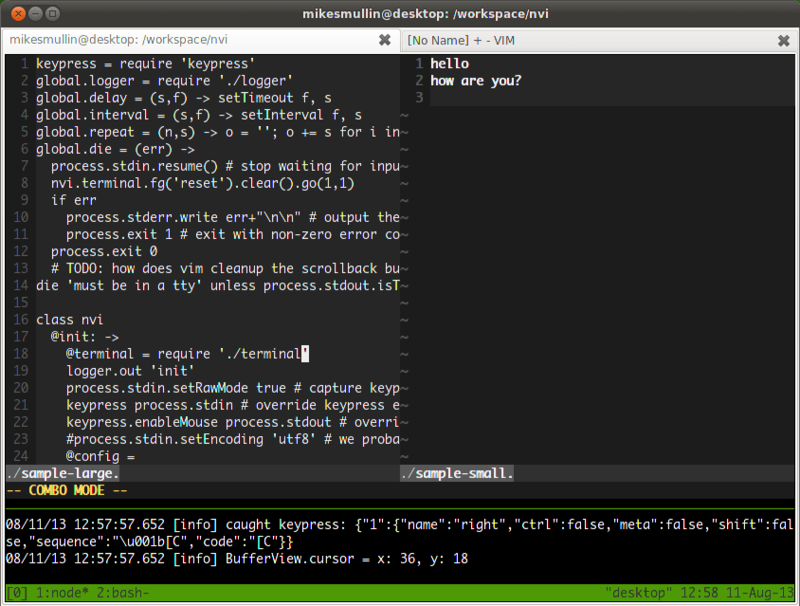 Amp is a free open source, lightweight, simple and Vi/Vim-inspired code editor for your Linux terminal, developed using Rust programming language. It implements the core interaction model of Vi/Vim in a simplified way, and assembles some of the basic features you will find in modern text editors. Vis is a free open source, Vi-like code editor which extends vi’s modal editing with built-in support for multiple cursors/selections implemented with same editor’s structural regular expression based command language. It comes with a file and directory browser, supports diff-mode, vimgrep, encryption and compression. It supports common file archiving formats such as tar, zip and many more. It also allows you to work with network protocols such as HTTP, FTP, and SSH among others. Furthermore, Vis comes with an embedded shell checker and more. Vis is included in most Linux distributions and can be easily installed using package management systems. Nvi is also a free open source, Vim-inspired code editor that provides Vim’s best features combined with a 256-color terminal text-based user interface, and tiled windows. It has its own modes: COMBO, NORMAL, REPLACE, BLOCK, LINE-BLOCK, and COMMAND. It allows for connecting several sessions in host-guests configuration, thus enabling collaborative code editing. It additionally supports local UNIX and remote TCP socket for pairing. Pyvim is a free open source, reimplementation of Vim in Python, without C extensions and runs on Pypy. It supports Vi key bindings, syntax highlighting, lots of color-schemes, horizontal and vertical splits, tab pages, and so much more. That’s all! 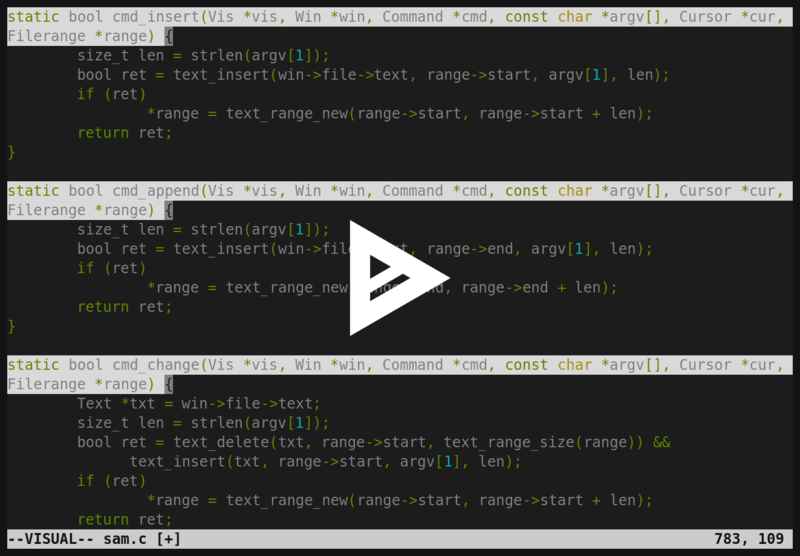 In this article, we have listed 6 best Vim-inspired code editors for Linux. If we have missed any that you are using, let us know via the feedback form below. Thank you so much for this research. Now if we could only get a vim personality added to Visual Studio, I could finally die and go to heaven! Welcome, haha, thanks for sharing your thoughts with us.